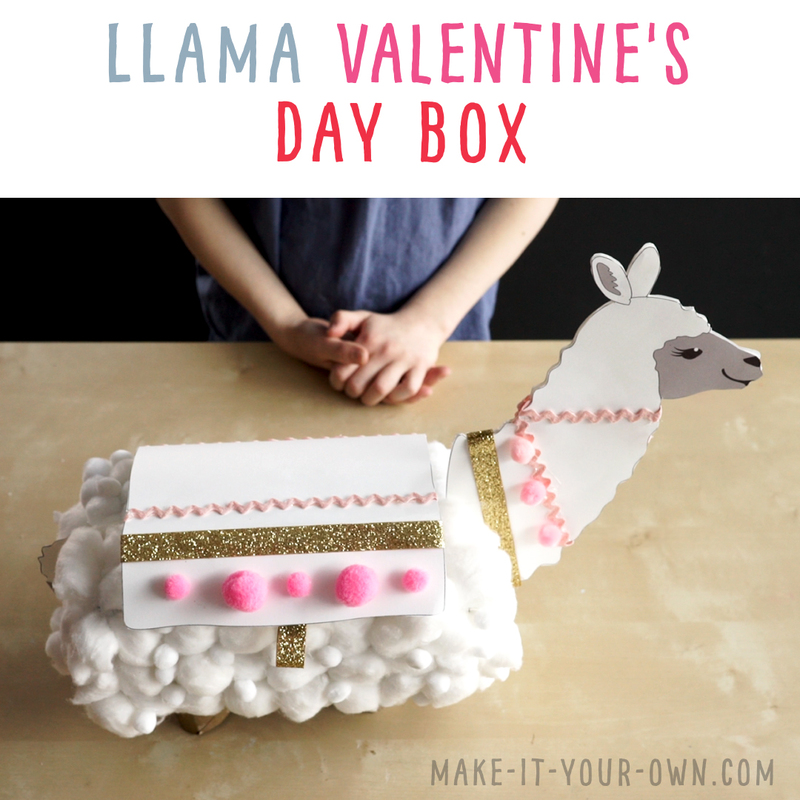 Transform a tissue box into a llama Valentine’s Day box to hold all your cards and treasures! This recycled craft comes with five free, printable templates for you to chose from and design and decorate! We carefully removed the plastic from the opening of tissue box. We painted the box with a few layers of acrylic paint to create a base. Print your llama head, tail and blanket. (There are a few different choices for you to pick from or draw your own!) on cardstock and cut them out. If you don’t have thicker paper, you could put something like cereal box cardboard in between the two sides of the llama when you go to glue them together. Cut out the llama blanket, decorate it and glue one end down on one of the long sides of your llama body. So your blanket can open (for your friends to insert your cards), you could either put velcro dots or make your own tab for easy opening (folding a small piece of ribbon in half and gluing it on the back side). 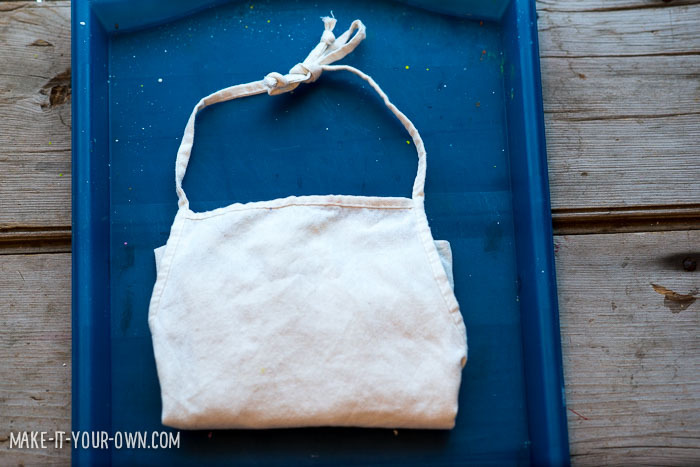 Glue your pom poms or cotton balls on the remaining exterior of your box if you would like to make your llama fuzzy! Bring your llama to school to collect your cards from your classmates or put a sheet of tissue paper inside and add a present for someone special! Exploring traditions for various celebrations. Cord, yarn, ribbon etc. 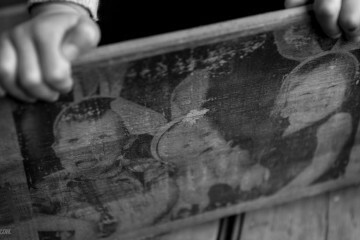 can be a strangulation hazard, therefore be sure to use with direct supervision and for its intended purpose. Small items such as beads or pom poms can be a choking hazard, therefore be sure to keep them out of the reach of children ages 0-3 years of age or those that tend to put things into their mouths. Love all the cute ideas on this site. We sure hope you give the llama a go Sammie! We always like seeing projects if you would like to tag us on Facebook or Instagram if you make one! 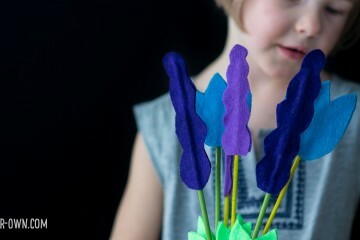 My daughter and I love this project too! The video is adorable. We’re making it this weekend. Thanks for sharing! Thanks Riley! Glad to hear you enjoyed the project! Thank you so much for this tutorial! It came out really cute! You are most welcome! We are so happy to hear that. Hope your Valentine’s Day was a sweet one!